Welcome! 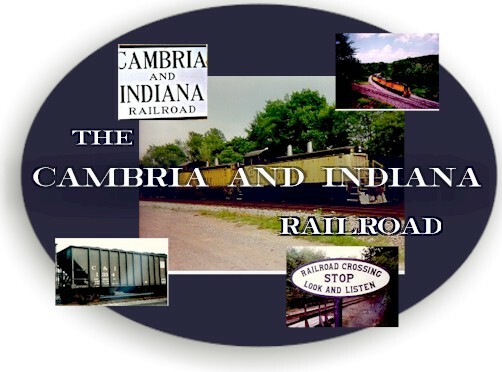 This site is dedicated to preserving the history and memory of the Cambria and Indiana Railroad, a short line known primarily for hauling coal which operated in western Cambria and eastern Indiana counties in Pennsylvania. The C&I had its humble beginnings as a lumber railroad heading north out of the tiny village of Rexis, PA, in southeastern Indiana County. In 1904, owner Vinton Lumber Company had the line incorporated as a common carrier, operating under the name Blacklick and Yellow Creek Railroad. A few years later, the line was purchased by Coleman and Weaver, who held mineral rights and coal interests in the area. In 1911, its name was changed to the Cambria and Indiana Railroad, reflecting the names of the counties it would serve. Click on a link below to begin exploring this site. New book out about the C&I! Click here to order it from Amazon. 3/14/18 - added some odds and ends. 3/8/18 - fixed or deleted some dead or broken links. 3/6/18 - added some steam era pix to the photos page. A lot of model RR stuff, mostly HO and N scale, as well as photos, slides, and other ephemera. A hopper comes home to Rexis - an old C&I hopper sat along a siding of the Knox & Kane RR for years. When the K&K's stuff was auctioned off, the hopper was bought and returned to Rexis where it would be repainted and eventually re-lettered. Denise Weber kindly sent some pictures, which are found on the page. 2/20/10 - Added some more photos courtesy of Keith Burkey. Updated again on 8/13/11 with some pix I shot of the car with its new lettering. Some C&I odds and ends - a collection of things found on the web that I don't think I've used in any other pages on this site. Please forgive any duplications. :) Also includes a few non-C&I transportation-related things. Some more photos from Jack Hill - click here. Click the above herald to hear a Hancock Air Whistle, which the C&I used on its diesel locomotives. This is an "unofficial" site, constructed by a rail fan/model railroader.